Instructor Mark has received training from many different instructors across the country. Currently, he receives the majority of his training from Sifu Rick Wong. He had a close relationship with Sensei James Tatosky, founder of the House of Samurai Shotokan Karate, from whom he received both mental and physical training. He has had the opportunity to learn from many prominent teachers including Dr. Yang, Jwing-Ming and Grand Master Pan, Qing Fu, former Instructor of the Chinese National Team and Master Nick Gracenin. He has been training in martial arts for over 20 years. He has been teaching students of all ages since 1994. Instructor Mark has a strong background in curriculum development and teaching techniques in math, science, and engineering for grades K-12. He had the opportunity to work in collaboration with the Education Department at Tufts University on several research studies. While at Tufts, he also directed a curriculum enhancement initiative to implement leadership, teamwork, and communication skills into the undergraduate engineering curriculum. Karen started her training in Kung Fu in the year 2000. She holds the rank of 2nd degree black belt. 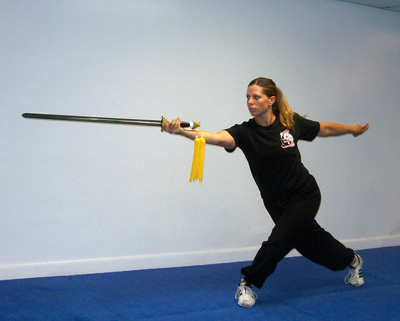 She currently teaches both the adult and children’s kung fu programs. Karen was a summer program director and a head teacher at the Lemberg Children’s Center at Brandeis University from September 1997 until 2011. She holds a bachelor’s degree in Early Childhood Education from the University of Connecticut, Storrs and has her Master’s degree in Early Intervention from Wheelock College. Karen’s primary focus in her teaching was helping children develop their social/emotional skills. Through hands on experience as well as in workshops, she trained the college students in Early Childhood Education. In addition, Karen consulted with families helping in the areas of parenting, special education, as well as conflict management. Currently Karen continues to consult in the Early Childhood Program in the areas of Special Education programming and teacher development. She has given seminars at NAEYC, National Conventions, Cambridge Childcare Resource Center, as well as for the ACT Parent’s Raising Safe Kids Program. Karen also facilitates parenting programs in the Parent’s Raising Safe Kids Program. Jonathan started his training in Kung Fu in 1998. He holds a rank of 2nd degree black belt. Currently Jonathan teaches the adults sparring class in addition to children’s classes of various levels. He also co-teaches the Tai Chi program. Head Chef- Chef Louie’s Corporate Catering Staples Corporate office Framingham, MA. Responsible for managing 30 employees and feeding 2,300 people daily. Day Sous-Chef- #9 Park, Boston Mass. Martial Arts. Sharing good food and times with friends and family. Playing guitar and going to the beach. 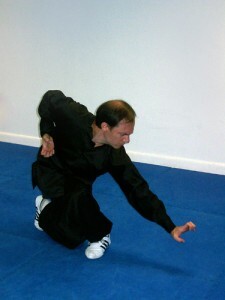 Geoff started his training in Tai Chi and Kung Fu in 1993. He holds a rank of 2nd degree black belt. Currently he co-teaches the adult beginning Tai Chi program with Instructor Mark. Geoff was a partner in a Boston-based money management firm from 1983 to 1997. Since then he has been and continues to be partner in several entrepreneurial ventures, as well as worked as an independent Web designer, and financial planner and consultant. BA in Economics and Math at University of Colorado, Boulder Graduate work in economics at M.I.T. Marcus has been studying Kung Fu at Davis Square Martial Arts since his youth. In addition to attending courses at a local University, he also teaches in the children’s program. He currently holds a rank of black belt. Jason began his Kung Fu training in 2007. He holds a rank of black belt. He teaches children’s classes and assists with the beginning adult program. Melissa began her Kung Fu training in 2007. She holds a rank of black belt. She teaches children’s classes and also assists with the beginning adult program. Davis Square Martial Arts maintains an Assistant Instructor Program which trains students of all ages to assist with classes. Our current roster of Assistant Instructors is coming soon!